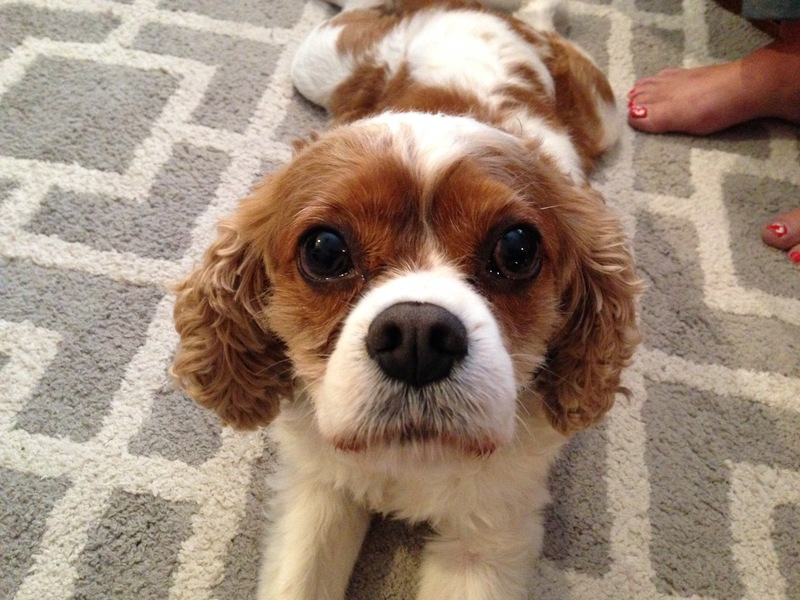 Elvis is a seven-year-old Cavalier King Charles Spaniel who over barks, doesn’t always listen to his guardians and has separation anxiety. It only took a few minutes to spot the core issue; Elvis believed he was in charge. This was a result of having no rules, being petted or attention on demand and not disagreeing with unwanted behaviors in a way the dog understood. I suggested some simple changes to the structure Elvis had in his day to day life. Adding rules and limits and then enforcing them is a great way to start developing a good leader follower dynamic. I taught his guardians how to disagree with him using body language and movement rather than verbal reprimands. As soon as the guardians started to use them, the dog responded much quicker and on the first signal. Next I asked his guardian to show me what Elvis was like when she put him on the leash. While he started out well, once he saw the actual leash, his excitement and reactions went up through the roof. After seeing how the dog did, we repeated the ritual of putting the dog on the leash a number of times until the dog was able to stay calm through the entire process. Now that we had helped Elvis understand that he has to remain calm in order to go for a walk, we headed out to do the actual walking. Just like we did with the leash exercise, we stopped or paused each time the dog started to get excited until we were able to go out the door and down the stairs with the dog staying calm while walking beside his guardian. I had swapped out the Harness his guardians used for a Martingale collar then showed them how to add the special twist on the leash to stop him from pulling. With very few corrections, his guardian was able to get the dog to walk calmly next to her as she went for a nice calm stroll down the street. When we returned from the walk, we practiced a new way of answering the door so that they could stop Elvis from going bananas when his guardian’s parents dropped by. Their guardian told me they loved the dogs and petted and gave him attention like crazy. But when you pet a dog in an excited state, we only reinforce their unbalanced frame of mind. To help the dog control itself, I showed his guardians how to claim the area around the door. By asking the dog to stay a few feet away from the door on its own, we can teach it to assume a follower position and allow the human to answer the door without help from the dog. By changing how the dog feels about his authority around his guardians, I was able to change the leader follower dynamic in the home. Elvis was calmer, even when his guardian’s parent arrived. A few exercises I showed them had really helped the dog learn to exercise some control. By petting the dog for a reason, enforcing escalating consequences when the dog breaks the rules or doesn’t listen, his guardians will be able to take over the leadership role. This will allow Elvis to relax and let his guardians literally take the lead.